Valkyrien Warfare aims to be the Minecraft ships mod everybody's always wanted. Block interactions, custom collision for walking on ships, mod compatibility and plenty of other features as well. Truthfully a lot of the problems other ship mods have claimed to be as impossible and impractical are indeed quite solvable, and VW remains as proof of that. 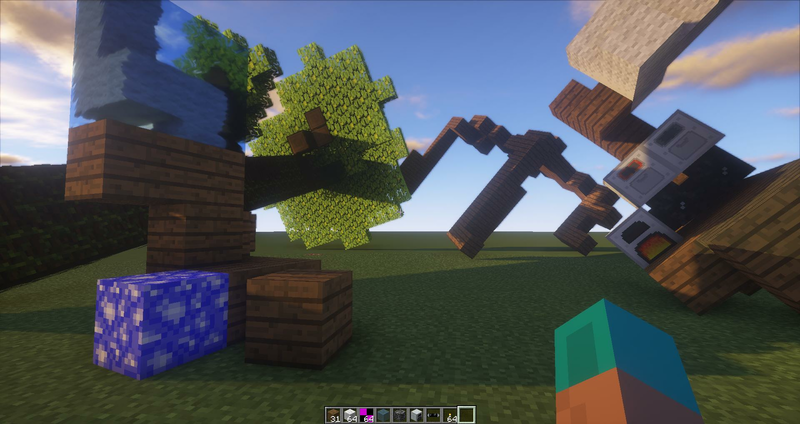 A fully integrated custom control system is in the works, but for now the mod is stable enough to be used as a physics sandbox built into Minecraft. Come for the latest updates and to post any bugs you want fixed! Will you be updating this for 1.13.2? If you kept this updated I'd gladly support the project as the world I'm working on requires this. This is AMAZING!!!!! I have no idea why the minecraft community isn't going crazy over this already. It works so well and has very little lag (I'm using BetterFPS, so that might have something to do with it). One of my favourite mods ever, keep up the good work! 1- the structure of ship is AWESOME!!! Out of Curiosity will you be backporting this to 1.7.10 at all?